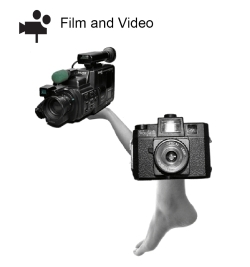 What are your rights as a film or video maker? Copyright is about important rights that only you have in your work. Other people need your permission or licence to do these things. The person who makes the arrangements for the film to be made, usually the producer and director, owns copyright in a film. allows you to get money for your work. At some stage, you may want to use copyright material owned by others in a film or video of your own. Before using other people’s work, you will need their permission. That is, they must say “Yes” first. When you seek the permission of a copyright owner, this is called copyright clearance. parts of other films you might include in your film. With a screenplay or music for example, you need the permission from the copyright owner to use that material. Many film festivals, funding bodies and distributors will need to see your clearances before they agree to work with you. Moral rights are personal rights that connect creators of a work to their work. protect yourself by taking legal action if your film is treated in any way that hurts your reputation. If you have included the work of other people in your film you must respect their moral rights by listing them in the credits. You will also need to get permission to film on private property and sometimes on some public land. Performers or anyone who appears as a cast-member in a shot must agree to being filmed. You must obtain permission to film on private property. Make sure that you have all contracts written down and signed before you begin working on a film. Assigning copyright means selling your copyright. In the film industry it is normal for a screenwriter to assign the rights of their film script to a film company. Do not sign or agree to anything you do not understand. Get legal advice on any contract. "Get clearances and all contracts signed before starting your film"